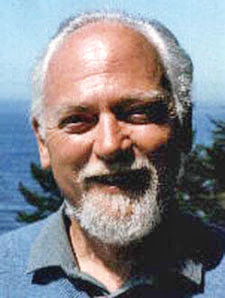 RAWIllumination.net: Robert Anton Wilson, a modernist classicist? "Classicism began immediately with the birth of the classical, in the eighth century B.C. The first known verse inscription, the famous Cup of Nestor, contains an allusion to Homer. The joke on the cup cannot be fully understood unless one knows the text of the Iliad to which it refers. It is 'nearly the oldest example of alphabetic writing and, at the same time, Europe's first literary allusion, an extraordinary fact. '* The Greeks wrote like this throughout all periods of antiquity, and that Procopius did so should in no way be correlated with the fact that he happened to live in what is now called the 'later' Roman Empire." (Page 61). It seems to me that Robert Anton Wilson could be described as a "modernist classicist," given that he read modernist writers very closely and often alludes to modernist writers such as James Joyce, Ezra Pound, etc. You don't have to pick up on Procopius' allusions to read his History of the Wars of Justinian; after all, he is describing exciting events, including wars on three continents, the Nika riots and an outbreak of bubonic plague that rivaled the medieval Black Death for its impact. Yet, his writing communicates much more to classicists such as Kaldellis who can appreciate Procopius' references to Herodotus, Thucydides, etc. Similarly, I read ILLUMINATUS! in college without realizing that Hagbard Celine's name refers to the protagonist of Finnegans Wake, the multiple viewpoints echo Ulysses, the cut-up technique is indebted to William Burroughts who got it from Bryon Gysin, etc. But for those who can pick up on the references, the work picks up added depth. Another passage of the same Kaldellis book illuminates something that RAW himself wrote about. 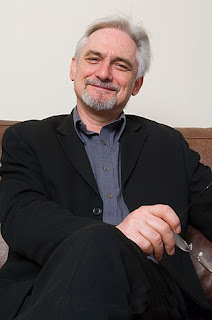 Kaldellis notes that "Classical allusions could be used to subvert the surface of a text whenever authors wanted to express opinions that for various reasons could not be stated openly ... Only a few readers would see past the outer layer to the inner message that was carefully hidden from the gaze of kings." (Page 36). This observation is reminiscent of RAW's observation in Cosmic Trigger that alchemists had to disguise their meanings in their writings to avoid persecution by the church. * Professor Kaldellis is quoting Homer and the Origin of the Greek Alphabet, B.B. Powell. I love reading this comparison, all the insights, and the subject alone - as you know - fascinates me. Yea, I think we can make good arguments that RAW was a modernist-classicist. However, he himself tended to agree with some of his critics: a postmodern, writing in the "wake" of Joyce and Pound and WSB and others. Those who saw the pomo as a "literature of exhaustion" (like John Barth?) would not include RAW. But those who thought pomo was filled with irony, an "incredulity towards metanarratives" (Jean-Francois Lyotard...doesn't this phrase remind us of model agnosticism?) a combo of High and Low cultural register, novels crammed with ideas - including a deep grasp of scientific concepts, utilizing forms in a ludic fashion, post-Wittgenstein/Korzybski/Chomsky in linguistics...this all fits what was once termed "postmodern." Maybe it still is. But the lit critic Frank Kermode made a lot of Neo-Modernism vs Paleo-Modernists. The latter group favored dense classical allusions, and patterned ideas and forms after classical ones. Joyce, Pound, Stravinsky, Nietzsche and many others. The Neo-Moderns wanted to get away from classical forms and invent new ones, and they thought the current times and current place of the artist were to be accentuated. Virginia Woolf, Gertrude Stein, William Carlos Williams, the surrealists, etc. Kermode has a LOT to say about his own model.I'm not doing it justice. But when I read Kermode I thought of RAW as more along the lines of the Paleo-guys, for obvious reasons. Although RAW did seem to share some aspects of Kermode's Neo-Moderns. I love allusions being used to say things in occult ways. And further: it's true. It does occur. Do you think a basic impetus for writers/artists to use allusion is a way to become part of some special society..."the writers"? But once again: incisive blogpost, really cool! @Eric Wagner: Yep. RAW found himself in good company with the McCaffrey book on pomo, but RAW said he later read more postmodernist writers and what seemed to turn him off was that they - despite Lyotard - seemed wedded to their own BS while being incredulous to others'. Which was probably too much like how Marxists violated the spirit of the sociology of knowledge, which RAW discusses in the preface to Wilhelm Reich In Hell, pp.25-28 in my edition. @Michael, I think the impetus to use allusions is to reach very special readers. I think RAW used it to reach his favorite readers. Procopius apparently used it to reach pagan dissidents, like himself. Thanks for telling me about Kermode. Another writer I have to track down. When I was first introduced to Illuminatus! around age 20 I was told then that you have to be in your 40s to get most of the jokes. Now that I'm in my 40s I do indeed get more of the jokes (growing up 20 years too late probably to get some of them.) But I think the point should have been in your 40s AND incredibly well read. There are so many layers and references it seems impossible to catch them all. Joyce was the same way, which may be yet another demonstration of how RAW said Joyce was always present in his writing.